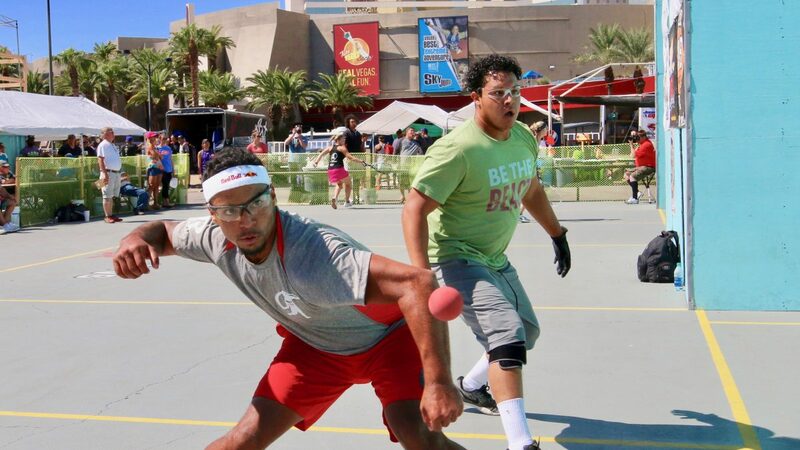 The final day of the 2017 3WallBall Outdoor World Championships would crown Big Ball singles winners in the men’s and women’s pro brackets, as well as the men’s and Women’s X-Fest champion for best all-around handball superstar. The X-Fest awarded points for each player’s finishes in their best three of four Small Ball and Big Ball singles brackets. The Men’s and Women’s WPH Outdoor Player’s Cup was also on the line on Sunday, meaning the WPH Outdoor 6 season all came down to Sunday’s finals. 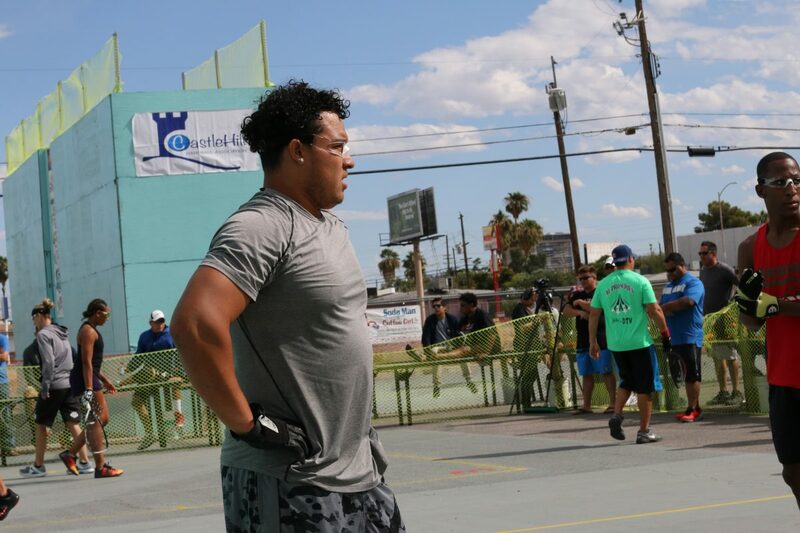 Samzon Hernandez was seeking his first 3WallBall Big Ball singles title in Las Vegas since 2013, while Timbo Gonzalez was seeking his first 3WallBall Big Ball singles title at the 3WallBall Outdoor World Championship. Hernandez and Gonzalez were also battling for the WPH Outdoor Player’s Cup, recognizing the top player on the WPH Outdoor season. 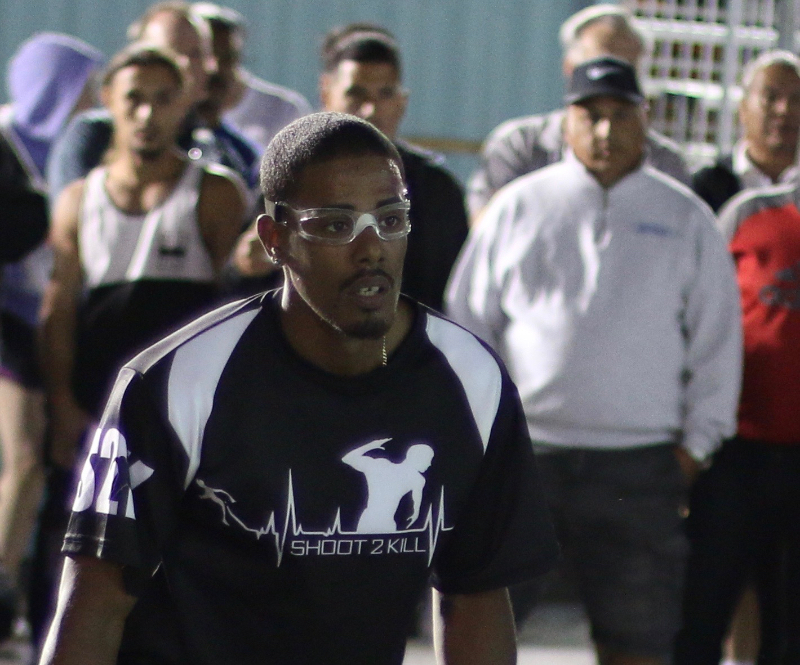 Gonzalez defeated Hernandez on the 3WallBall courts at the 2017 Vegas Lte in May and was determined to make it consecutive victories against his greatest 3-Wall rival. Hernandez started well in the first game, building a 5-1 lead with crisp kills and passes. Gonzalez rattled off six consecutive points to take the momentum and the lead, only to be caught by Hernandez at nine. Hernandez served for the first game at 11-10, earned his favorite right-hand setup into the left corner but came up just short. “Everything just looked off about that swing,” stated WPH guest commentator David Chapman. “Samzon looked like he rushed the shot and his swing was not smooth.” Gonzalez took advantage of Hernandez’s error, winning the next point to put game one in the bank. 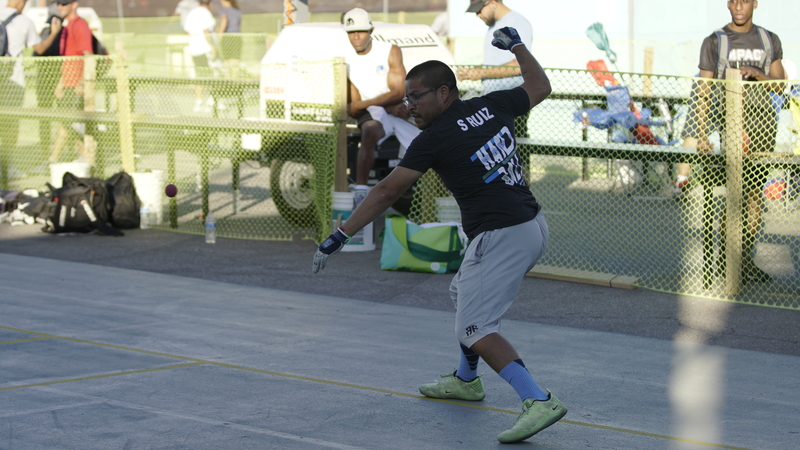 Jurell Bastidas dominated the upper half of the 1WallBall Small Ball singles bracket, exacting revenge on Timbo Gonzalez from an a singles loss earlier in the summer. David Chapman added to his unparalleled resume by eliminating the current national 1-Wall finalist Billy O’Donnell, current 1-Wall world champion Sean Lenning, and defending 1WallBall Small Ball singles champion Gio Vasquez en route to the final in the bottom half. Bastidas started slowly in the final, unable to locate his “out the door” serve to the left. Chapman, however, was unable to take advantage, making several return-of-serve errors and failing to push Bastidas out of the front court. Bastidas methodically built a lead, using an overhand drive game and paddle and whip kills. Bastidas led 15-4 at halftime and appeared to relax with the sizeable lead. Bastidas dominated the action in the second half, finding his devastating serve and not allowing Chapman into the rallies. “He was just too tough and I felt like I couldn’t do anything,” stated Chapman. 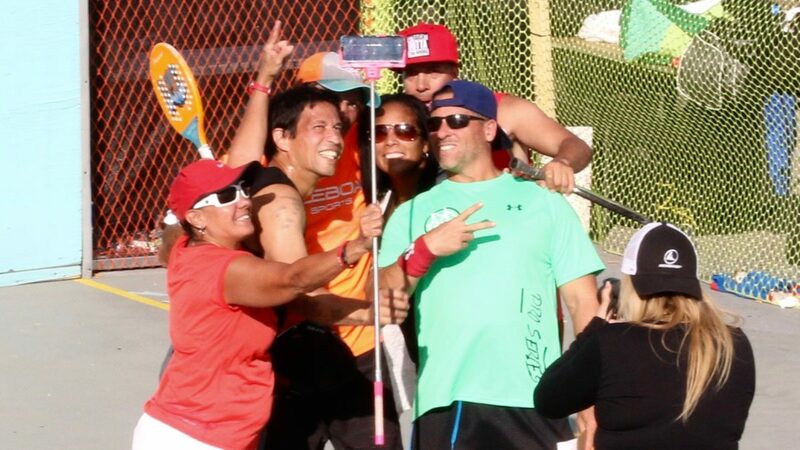 Timbo Gonzalez ousted Samzon Hernandez en route to the 1WallBall Big Ball singles final, while Hector Velez continued his sensational 2017 campaign in dominating Gio Vasquez to advance to his first 1WallBall Big Ball singles final in Las Vegas. Gonzalez was cruising in the 1WallBall singles final, appearing to be more interested to playing to the crowd with backhanded shots than the scoreboard. Despite his showboating, Gonzalez led 22-9 and called a timeout. “This match shouldn’t be this close,” Gonzalez barked at fans sitting courtside. “Vegas had the over/under at 4.5 points,” stated a frustrated Gonzalez, upset about a post-match handshake with Velez from an earlier doubles match. Serving at 24-15, Gonzalez attempted a spike kill with his left hand that missed by inches, keeping Velez’s comeback alive. Velez dominated the next four rallies to cut the deficit to five. “This is the best I’ve every seen Pito (Velez) play,” stated one of Velez’s supporters in the front row. On cue, Velez dumped his next shot in the ground and lost the next rally to come up just short. 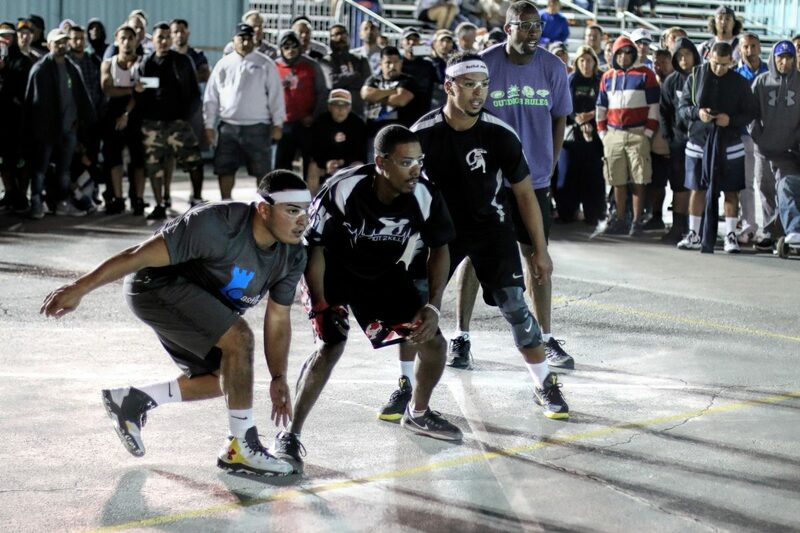 Timbo Gonzalez teamed with Allan Sanchez and cruised to the final in the upper bracket, while Hector Velez and Carlos Pena survived several close match en route to the final in the bottom bracket. After being two points from elimination in the semifinals, Team Velez/Pena raced to a 14-0 lead in the final against Team Timbo/Sanchez. Timbo appeared to flip the switch, leading his team to a 15-point streak to take the lead. Trailing 15-16 just two rallies after halftime, Team Velez/Pena scored the final 10 points of the match. Kevin “Gonza” Gonzalez and Israel Mateos stunned top-seeded Shorty Ruiz and Chava Cordova in a 12-10 tiebreaker thriller to advance to the final in the upper bracket, while 2017 WPH Outdoor Player of the Year Samzon Hernandez teamed with New York’s Allan Sanchez to advance to the final in the bottom bracket. With Team Hernandez/Sanchez leading by a game and the score tied at 10 in game two, Gonza appeared to hit a serve that landed on the back line but was called out. After a discussion of nearly three minutes, play resumed. Team Gonza/Masteos overcame the questionable call to force a third. Team Hernadez/Sanchez regrouped, dominating the tiebreaker to win the title. 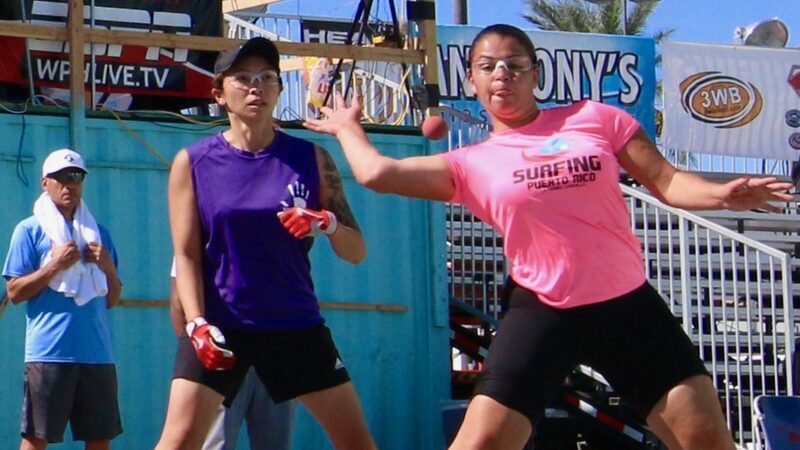 Danielle Daskalakis and Sandy Ng cruised to the finals of the 3WallBall Big Ball singles and would be playing for not only the 3WallBall Big Ball title, but valuable X-Fest points as well. 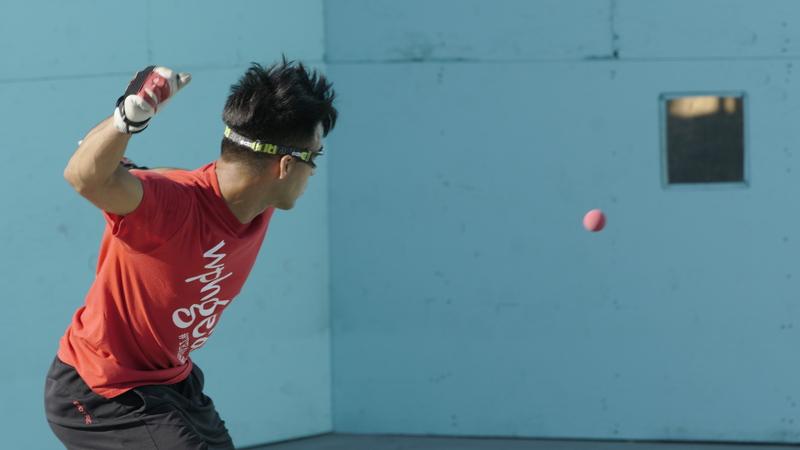 Sandy Ng continued her stellar weekend in Las Vegas, using a combination of deep serves, crosscourt angles, fly kills, and whip kills to oust the defending 3WallBall Big Ball singles champion in two games. Sandy Ng and Martina McMahon met in the 1WallBall Small Ball singles final, with both winning impressively in their semifinal matches. McMahon and Ng played evenly for the first 12 points of the match, but Ng’s 1-Wall Small Ball experience became too much to overcome for the 1-Wall Small Ball rookie. Ng pulled away by pushing McMahon to the corners and effectively using the 1-Wall block to impede McMahon’s swings. 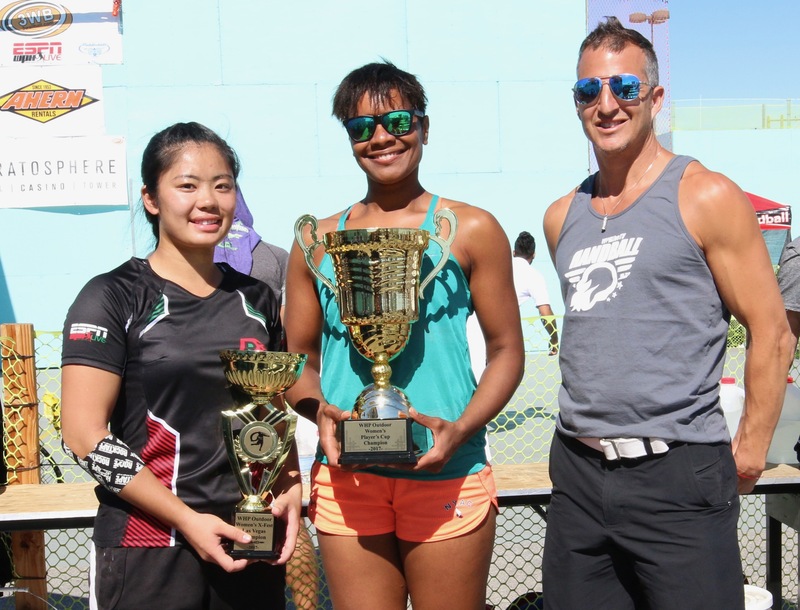 Jenny Qu was seeking her second consecutive 1WallBall Big Ball singles title at the 3WallBall Championships, while Sandy Ng was seeking revenge for her finals loss to Qu at last year’s 3WallBall Championships. 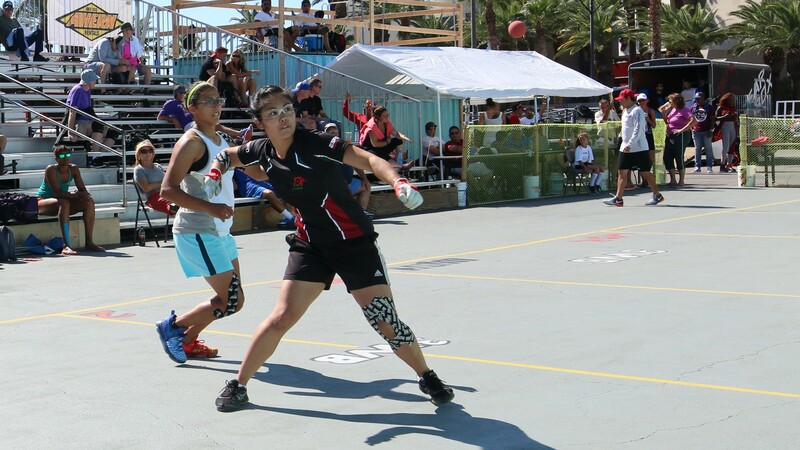 Jenny Qu was gunning for a Vegas slam in the Women’s 1WallBall Big Ball Doubles. Qu teamed with Crystal Ruiz and faced New York City rivals Mel Sky and Jessica Sky in the Sunday morning final. 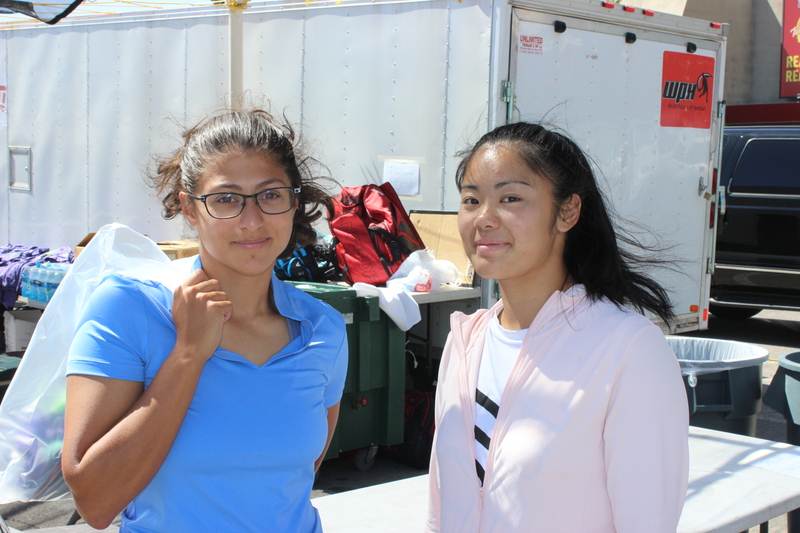 Qu maintained her momentum from her early morning singles win, as Qu and Ruiz were in sync throughout the final, building a lead and cruising to the title. Sandy Ng was in search of her eighth 3WallBall doubles title on Sunday morning and her seventh with partner Tracy Davis. Team Ng/Davis would face the Women’s WPH Outdoor’s most decorated champion Tanisha Groomes and cross over superstar Danielle Daskalakis in the final. Team Daskalakis/Groomes started aggressively in the 3WallBall Big Ball doubles final, taking game one by shooting the ball from everywhere and connecting. “Tanisha really goes for her shots and when they’re landing, she’s very tough to stop,” stated Davis. The seven-time defending champions bounced back in game two, playing steady and executing their offensive opportunities to force a tiebreaker. 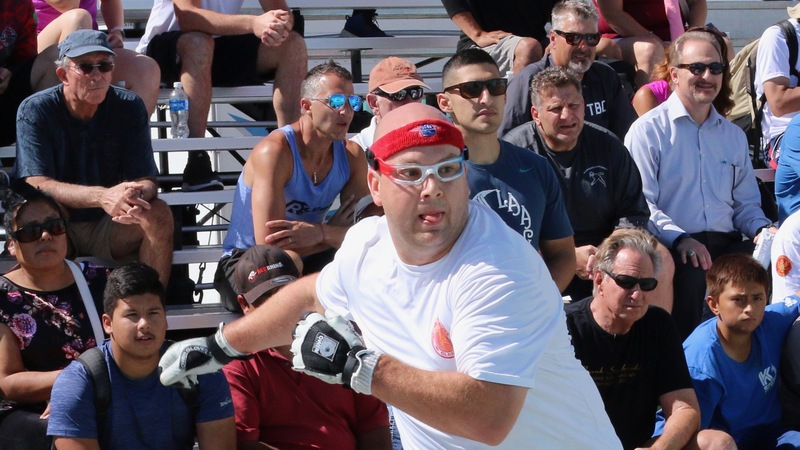 Thank you to the entire WPH staff, the WOR staff, tournament director Mike Coulter, all of the volunteers and all of the players for making the eighth edition of the 3WalBall Outdoor Championships a sensational event. 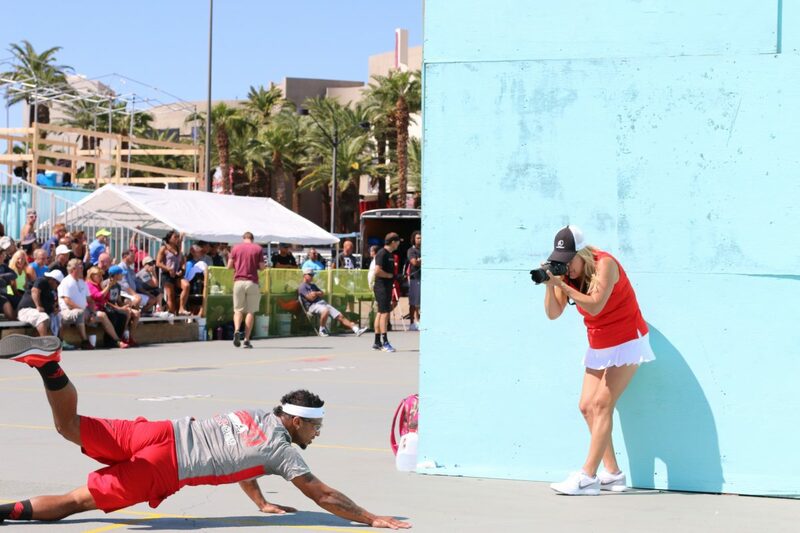 Read about every day from the 2017 3WallBall Outdoor World Championships by scrolling down on this thread. 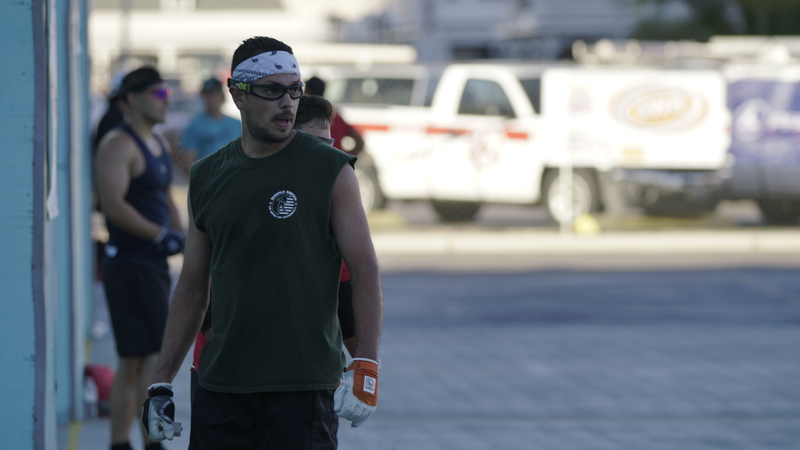 The most difficult weather conditions in the eight-year history greeted players on Saturday at the 2017 3WallBall Outdoor World Championships, as winds regularly gusted and swirled at up to 30 miles per hours and temperatures dropped into the 50’s by early evening. Martina McMahon entered a formidable 3-Wall Small Ball singles draw having never played 3-Wall Small Ball singles. McMahon cruised to the final with a dominating win against 3-Wall national finalist Ashley Moler. Former national 3-Wall champion Tracy Davis met McMahon in the final, having cruised past Suz Koehler in the semifinals. Martina McMahon entered the Small Ball 1-Wall singles with no prior 1-Wall Small Ball experience but showed no signs of inexperience. 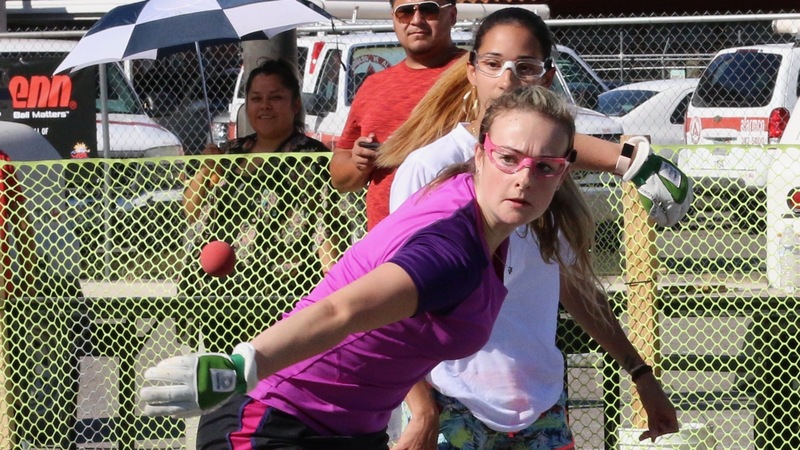 McMahon faced former multiple-time 1-Wall Small Ball national champion Danielle Daskalakis in the upper bracket semifinal in what became one of the most exciting matches of the event. McMahon and Daskalakis showcased tremendous skill and athleticism in the one game match to 25, building a highlight reel of kills, retrieves, and aces. McMahon seemed to be in control with a 24-19 lead, but an “out” serve and several missed opportunities opened the door for DD. Serving at 23-24, DD skipped an easy setup and McMahon seized the opening, winning the match on her third opportunity on match point. 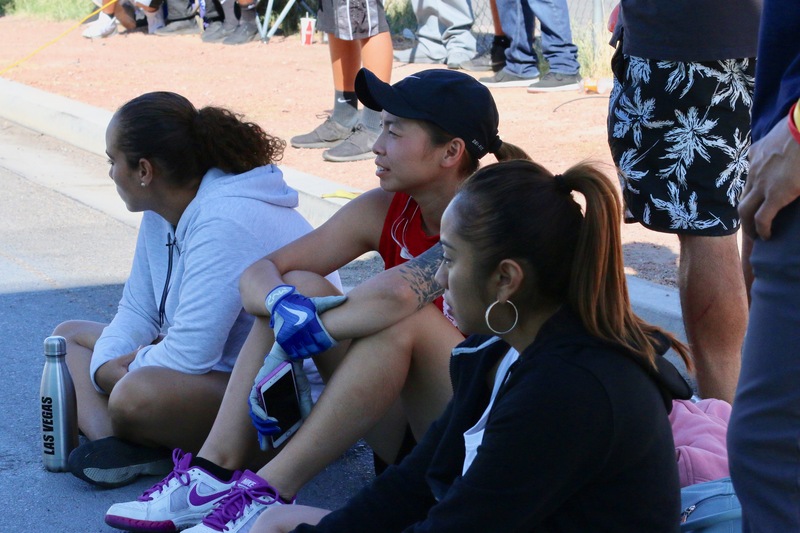 McMahon was seeking to continue her undefeated streak in Las Vegas against defending 3-Wall Big Ball champion Jenny Qu in the upper bracket semifinal and appeared to be in control, leading 18-8. Despite her sizeable lead, McMahon challenged several calls and appeared to lose her focus, opening the door for Qu. Qu raised the level of her game and McMahon was unable to find the form that built the huge lead. Qu scored 17 of the final 19 points of the match to keep her hopes for a repeat alive. The bottom bracket semifinal pitted Sandy Ng and Danielle Daskalakis. Ng and DD played at an exceptionally high level throughout the match, with Ng pushing DD into the corners with angled drives and DD scoring points on whip kills and paddle re kills. Ng took control late in the second half to advance to the final. Danielle Daskalakis advanced to the final in the upper bracket with a two-game sweep against Ashley Moler, while Sandy Ng was clinical in beating Tracy Davis in two games in the bottom bracket semifinal. Timbo Gonzalez entered his late-night semifinal clash with Jurell Bastidas as the favorite, having defeated Bastidas in two lopsided games at the 1-Wall Nationals six weeks ago. Bastidas overwhelmed Gonzalez in the first half, hitting 12 ace serves en route to a 15-4 lead. “Bastidas looks very focused and he’s out for revenge,” stated 1-Wall legend Rookie Wright sitting courtside. 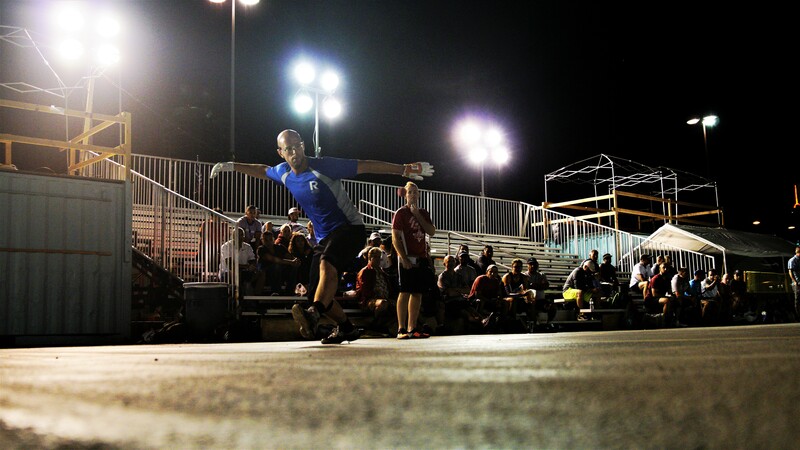 David Chapman defeated current national finalist Billy O’Donnell and current world champion Sean Lenning to advance to the semifinal and would face defending 1WallBall Small Ball champion Gio Vasquez for a spot in the final. Chapman was sharp in the late-night semifinal, neutralizing Vasquez’s serve and power and controlling the rallies with deep drives and paddle kills. Vasquez could not find any answers, as Chapman broke his will and his spirit in a semifinal clinic. WPH Outdoor #1 Samzon Hernandez faced early 2017 R48 #1 Mando Ortiz in a battle of 20-something Southern California stars in the upper bracket semifinal. Ortiz played evenly with Hernandez in the first half of game one, but Hernandez demonstrated why he is the game’s most decorated star, seizing control of the match with deep serves and first-strike kills to end Ortiz’s brilliant Big Ball run. JR WPH was proud to present an exciting junior handball clinic for 12 youngsters competing in the 2017 3WallBall Outdoor Championships. 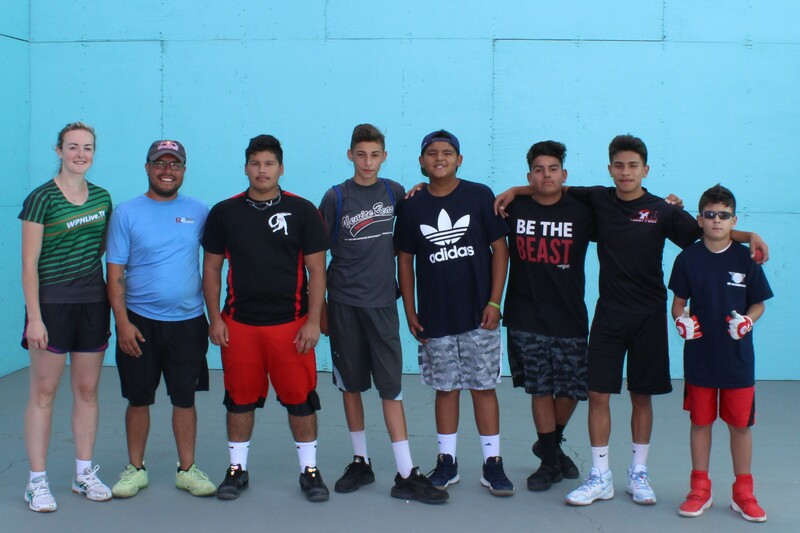 WPH Coaches and 3WallBall World Champions Shorty Ruiz and Martina McMahon played doubles points with the youngsters, alternating partners after each rally. Following the doubles points with the pros, Coaches Ruiz and McMahon discussed the importance of practice and dedication to improve. 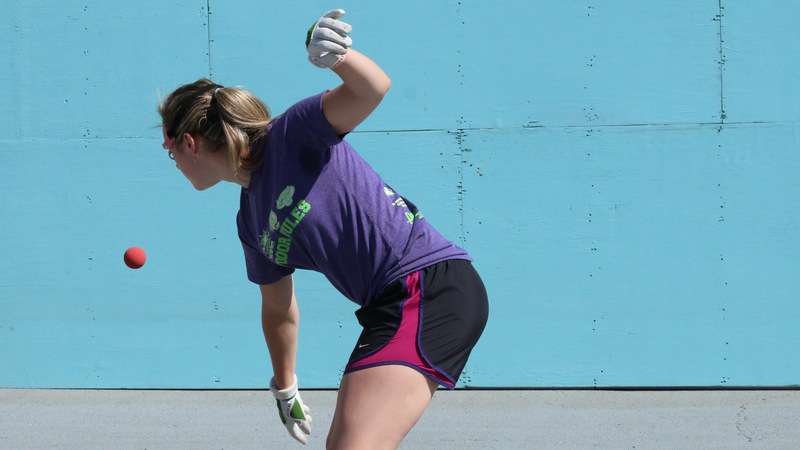 “I spend 20 hours a week training and playing handball,” explained Coach McMahon. “You need to pay 5-6 games per day and work on different shots while you are playing, then practice by yourself for two hours,” added Coach Ruiz. Sean Lenning cruised in the bottom bracket semifinal, overcoming a slow start against Vic Perez to advance in two games. 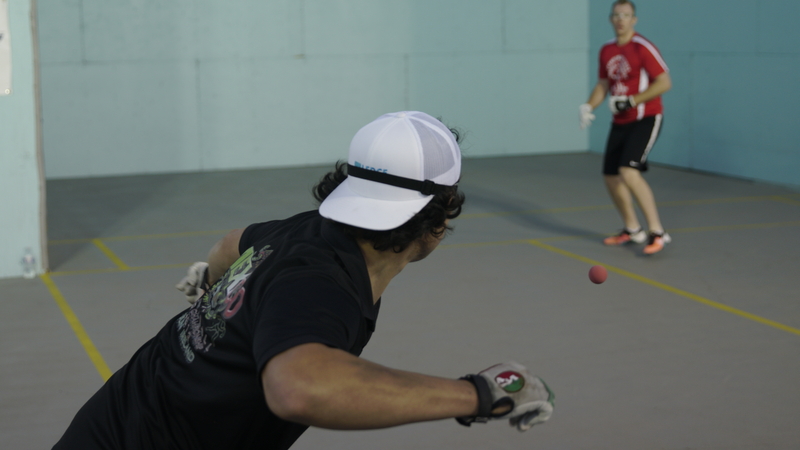 Ruiz was seeking his third 3WallBall Small Ball singles title, while Sean Lenning was seeking his second. 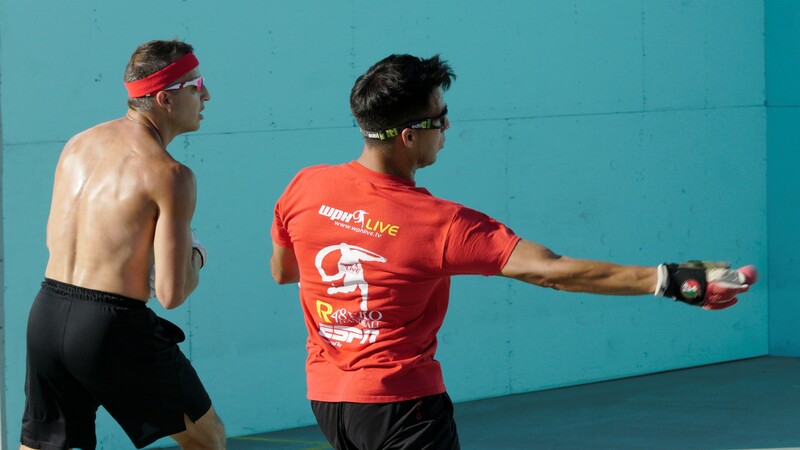 Despite being two of the best 3WallBall outdoor stars on the planet, Ruiz and Lenning met for just the second time at the 3WallBall Championships. Defending champions and top seeds Erik Torres and Abraham Montijo defeated Texas’ Jonathan Pollard and Ismael Garcia to advance to their second consecutive final. 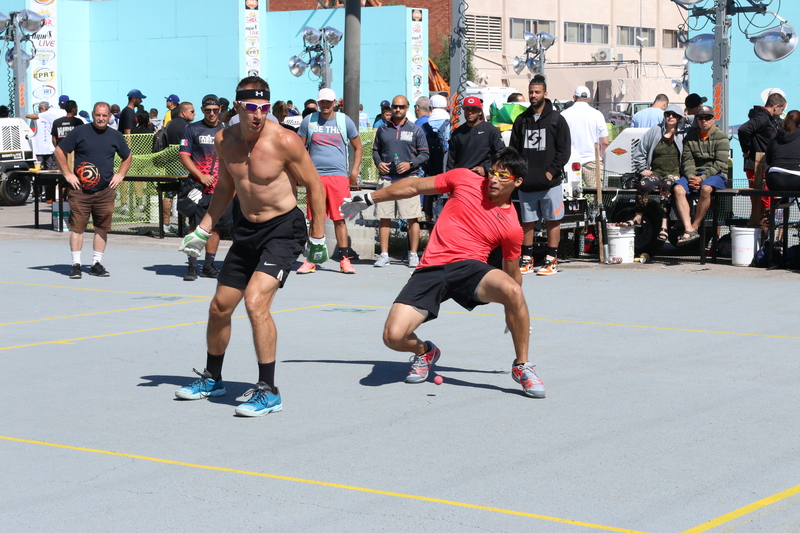 Vic Perez and Jurell Bastidas overcame the “Flying Cordovas” in one of the 3WallBall’s best ever matches in the bottom bracket semifinal, splitting the first two games 15-13 and rallying from a 2-10 deficit in the tiebreaker to win 15-12. “I don’t even know how it happened,” stated an elated Bastidas after the match. Perez and Bastidas were too steady for Team Torres/Montijo in the Friday night final, dismantling the defending champions in two quick games to earn yellow jerseys. The Men’s and Women’s X-Fest 1-Wall Small Ball and 1-Wall and 3-Wall Big Ball action kicked off on Friday, with the men’s brackets finishing the round of 64 and round of 32, while the women played off to the semifinals. Stay tuned throughout the weekend for full Big Ball coverage. The WPH was thrilled to honor Veronica Figueroa, affectionately known as “Ms. V,” as the 2017 WPH Volunteer of the Year for her outstanding and selfless efforts in growing the sport and inspiring the next generation of players. 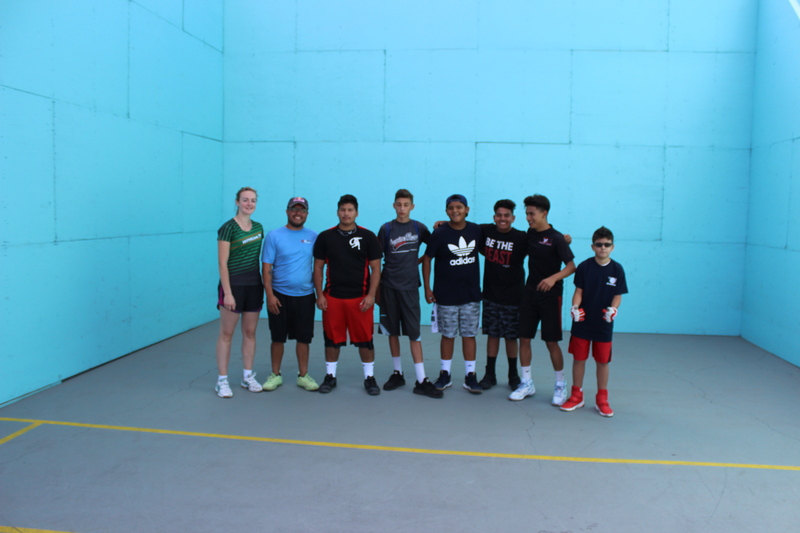 Ms. V serves as the tournament director for the JR WPH NYC Shootout in Brooklyn, running and organizing a sensational junior handball tournament for youngsters between the ages of 11-19 every summer. 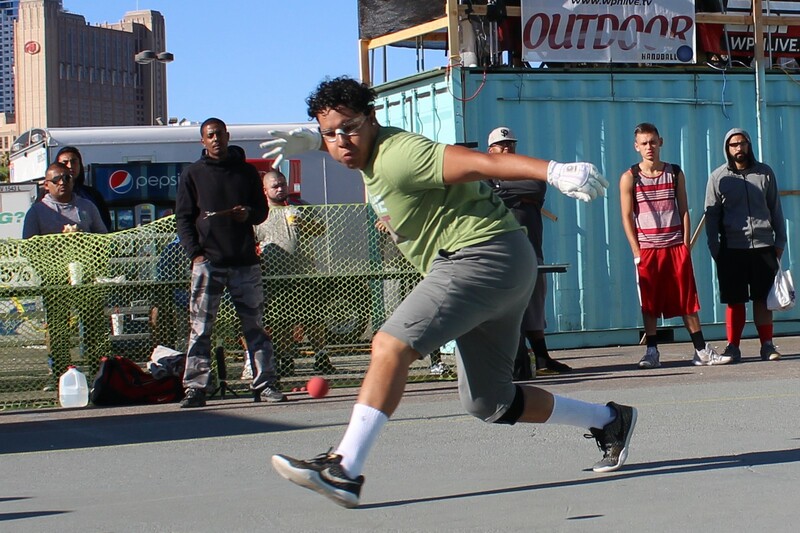 In two years of running the JR WPH NYC Shootout, more than 200 junior handball players have participated, largely due to the efforts of Ms. V. Ms. V also provides tournament updates from New York City’s biggest 1-Wall events, volunteers at the 3WallBall Championships, and serves as a special advisor to the WPH board of directors. Women’s 1 wall big ball division saw twelve-seed Martina McMahon upset the #4 seed, Crystal Ruiz 25-6, “She looked more powerful, stronger and in better shape,” said one fan, to our court-side photographer, in regard to Martina McMahon’s upset win. Jenny Qu, last year’s defending champ, advanced to the semis; meanwhile, Sandy NG (#3) and Danielle Daskalakis (#2) moved on from the quarters and will face each other at 4pm pacific. 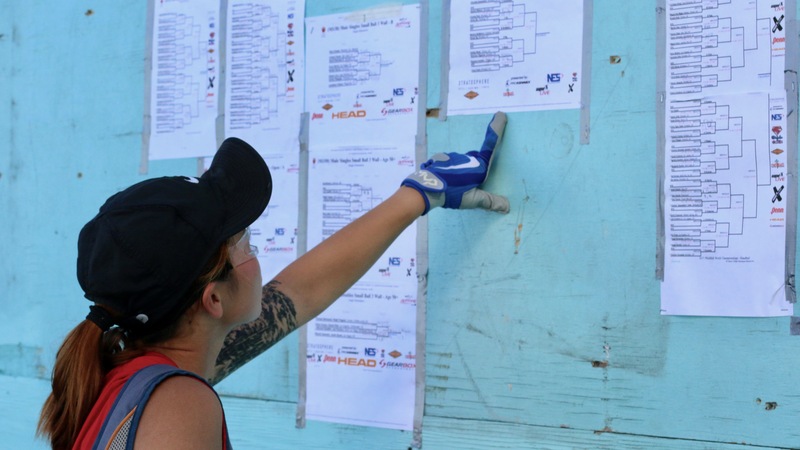 Women’s 3 wall big ball had all four top seeds advance when Danielle Daskalakis, Tracy Davis, Sandy Ng and Ashley Moler skated past their first round matches. All former yellow jersey winners will play-off their semis matches after noon-time Saturday. 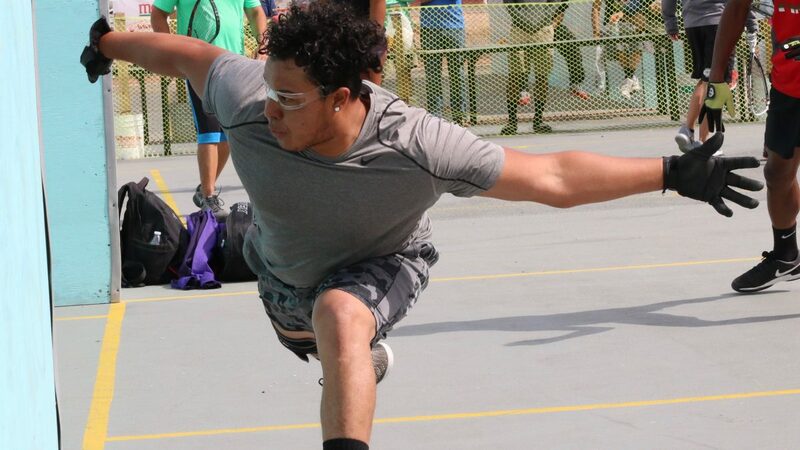 Thursday afternoon will kicked the X-Fest III, with the world’s greatest outdoor handball players vying for the crown of best all-around outdoor handball player. The X-Fest champion will be determined by counting the three best singles divisions in 1-Wall Small Ball, 1-Wall Big Ball, 3-Wall Small Ball, and 3-Wall Big Ball. Red Bull’s WPH Outdoor #2 Timbo Gonzalez is the reigning X-Fest champion, having won the X-Fest II in the summer of 2016 in Southern California. Gonzalez was on the short list of favorites to defend in Las Vegas this year. “I’m really excited about trying to win the X-Fest again,” stated an animated Gonzalez. “It’s not going to be easy, that’s for sure. There are a lot of great players here this year. 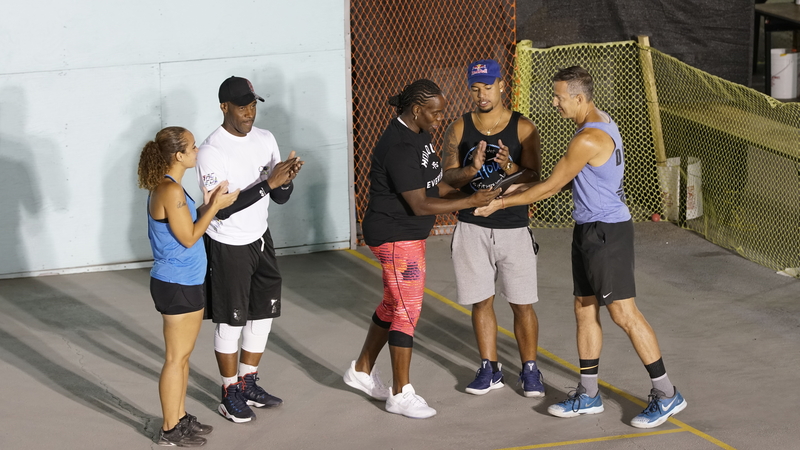 I’m looking forward to the challenge.” Gonzalez will have to overcome not only his New York rivals Kadeem Bush and Tywan Cook, but cross over stars Sean Lenning, David Chapman, Samzon Hernandez, Shorty Ruiz, and a number of other great handball superstars. The deepest 3-Wall Small Ball singles draw in history commenced on Thursday afternoon, with 26 of the world’s best 3-Wall Small Ball players in action. The 26-man draw would be shrunk to four by night’s end, as a number of the game’s stars would be sent to the rail. 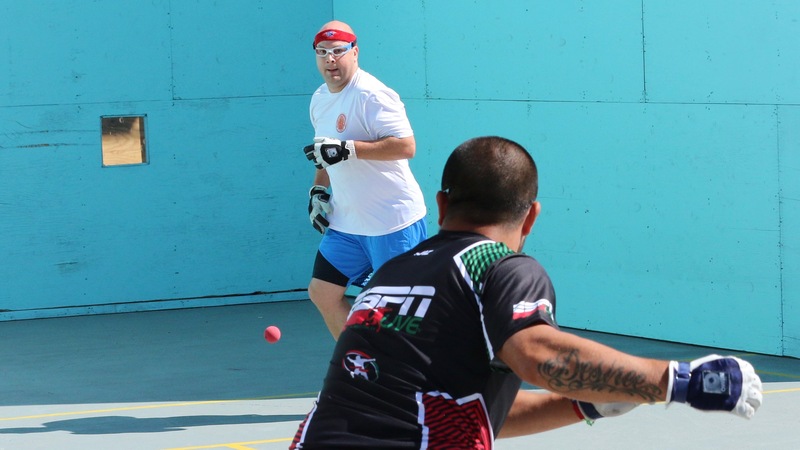 Top-seeded and defending champion Shorty Ruiz had little difficulty in disposing of 1990’s top 8 pro tour star Matt Hiber, while second-seeded and 2015 3WallBall 3-Wall small ball champion Sean Lenning cruised past California’s Brian Medina. Third-seeded and last year’s finalist David Fink faced Erik Torres in a rematch of last year’s semifinal. Torres started hot, serving eight consecutive aces to start to the match. Fink was never able to erase the deficit, dropping game one 15-6. 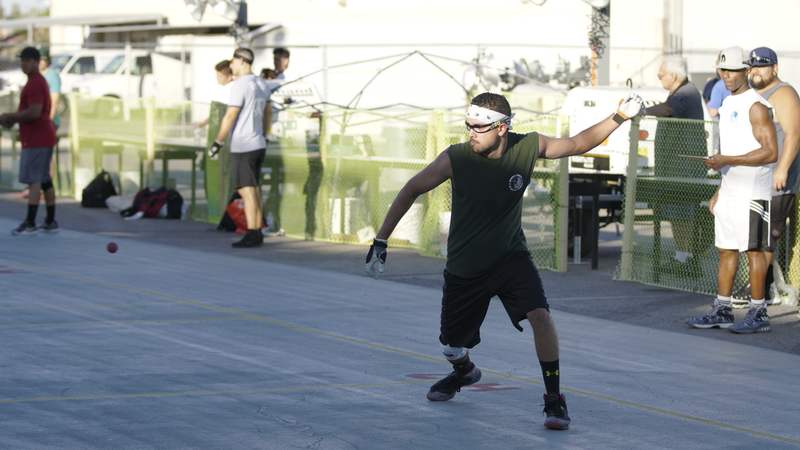 Fink raced to a 5-0 second game lead, only to fall behind 13-7 and on the brink of elimination. 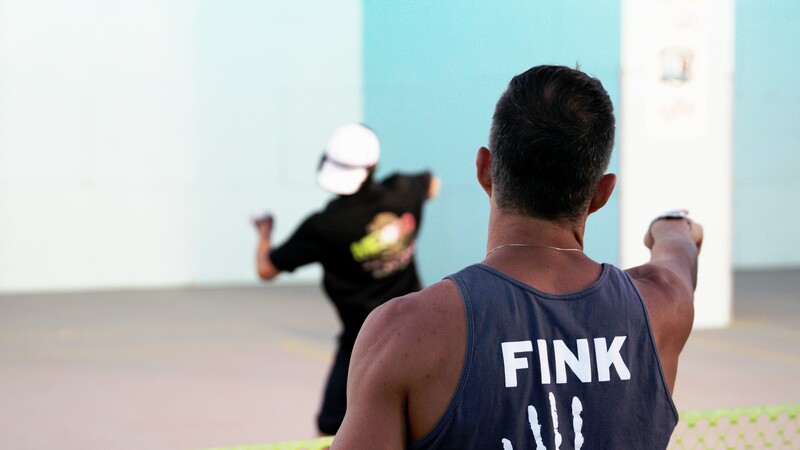 Fink rallied, taking a 15-14 lead and ultimately closing out the game 17-15 in the second overtime game between the two in their last two 3WallBall match-ups. The tiebreaker featured four lead changes and eight tie scores before Torres took command at 14-11. Torres served out, and just as he had done in game one, Fink took a 15-14 lead. The pair would then go deep into overtime, with both players serving at match point six times. A right hand setup to end the match for Fink at 17-16 was picked up by Torres, keeping him alive. 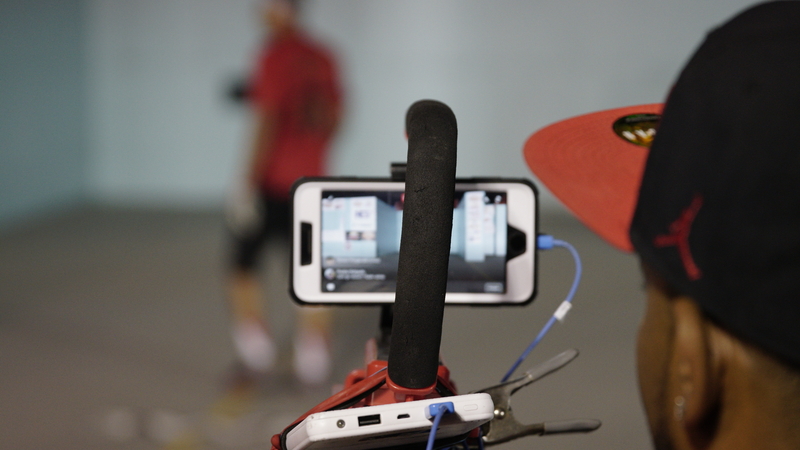 Torres would regain the serve and score three straight to win the longest overtime match in 3WallBall history. 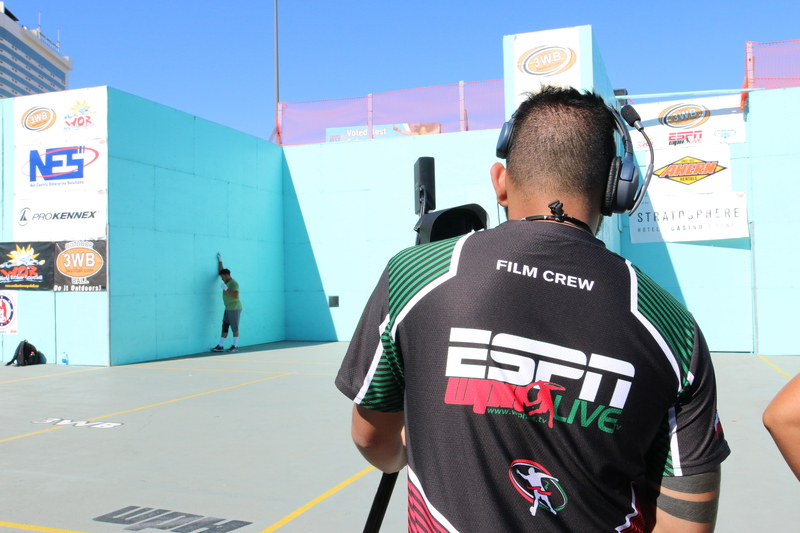 Abraham Montijo entered his match against fourth-seeded Mando Ortiz brimming with confidence based on winning last year’s small ball 3-Wall doubles. Montijo dropped a close first game but took control on the second and third, eliminating the former R48 #1 out of the tournament. 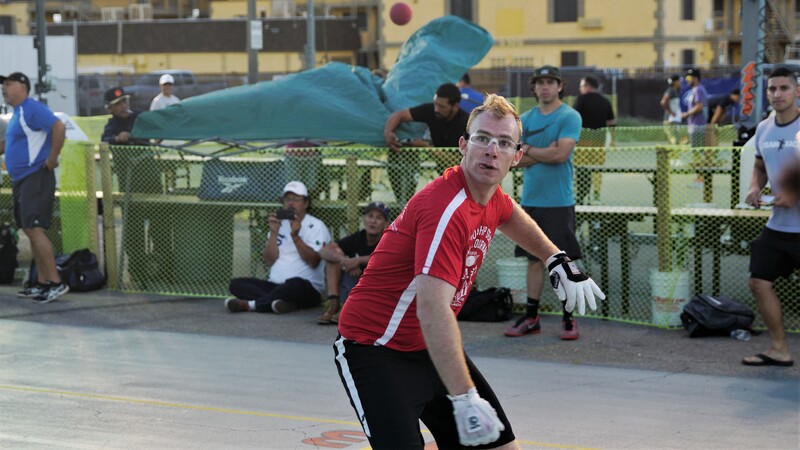 Fifth-seeded and the inaugural 3WallBall 3-Wall small ball champion David Chapman faced the 2017 1-Wall small ball national finalist Billy O’Donnell. The pair played evenly throughout the first game, exchanging paddle kills and two-wall “out the door” pinch drives. 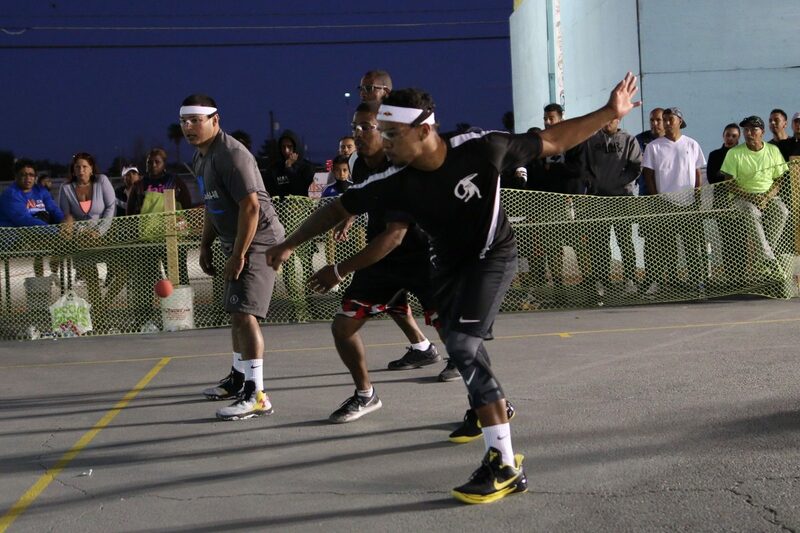 With Chapman serving at 13-all, DC executed two trademark flat rollouts to take game one and cruised in game two. 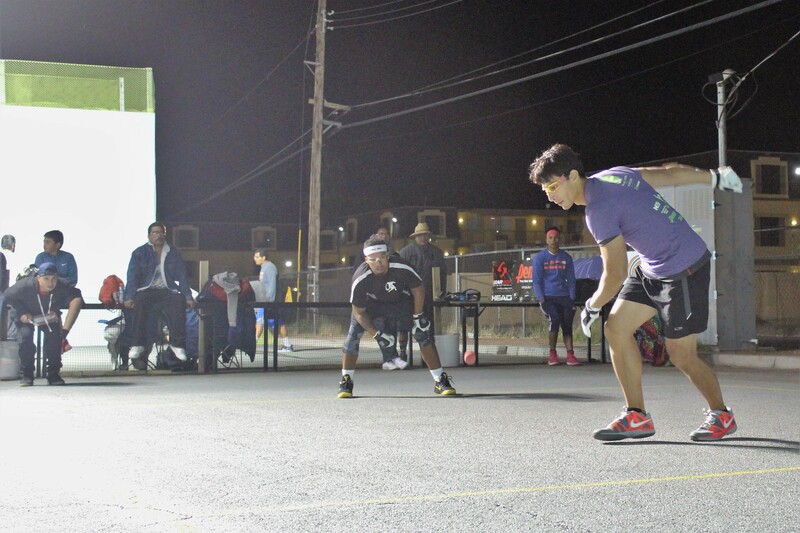 2014 3WallBall 3-Wall small ball champion and sixth-seeded Jurell Bastidas faced R48 #9 Vic Perez. Bastidas took game one, but Perez changed his game, and with it, the momentum of the match. “Vic has the ability to return really good shots that take him off the court with a paddle scoop and keep himself in rallies where other players can’t,” stated first-round Perez victim Pete Papathemetrios. Perez cruised in the second and third games to advance. Seventh-seeded and 2015 R48 Rookie of the Year Daniel Cordova had no trouble with WPH Outdoor #1 Samzon Hernandez, advancing in just 12 minutes. Eighth-seeded and R48 6 Player’s Championship finalist Luis Cordova flew from Orlando, FL to Las Vegas in the morning/afternoon, escaped with a first-round tiebreaker win and met cross over star Mike Schneider in the round of 16. Schneider kept Cordova off-balance with a power hop serve in game one, but Cordova made adjustments in games two and three. Unable to score points with aces, Schneider struggled to end rallies, while the jet-lagged Cordova found his groove with his right hand kill. Cordova dominated the action in the second and third. Shorty Ruiz played nearly flawlessly in game one against Luis Cordova, using the whole court en route to a dominant first game win. “Shorty is really focused right now, nothing is bothering him,” stated close friend and doubles partner Mando Ortiz. Trailing 3-11, Cordova gained some momentum going into game two by scoring four points. The second game featured tied scores at six, eight, and 11. Ruiz found another gear at 11-all, scoring four unanswered points to advance to the semifinals. 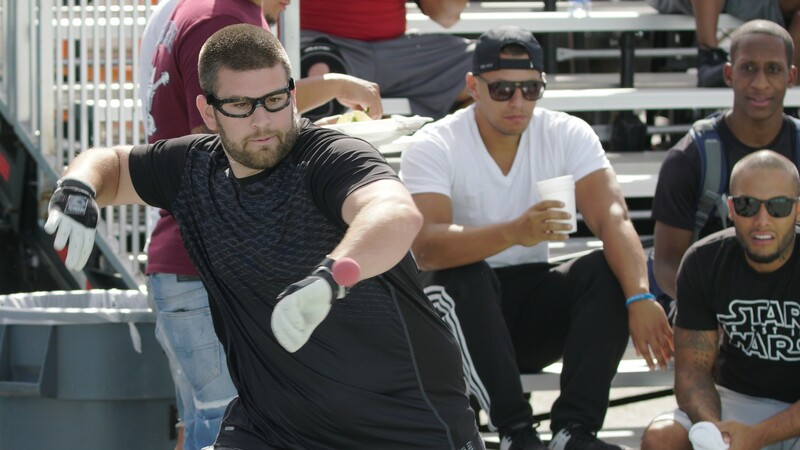 Nine-time national 3-Wall champion Sean Lenning struggled with Daniel Cordova’s two-way hop serve in game one, failing to return seven serves en route to a one-game deficit. Lenning found the answers to Cordova’s serve in the second and third and imposed his serve and power game on his fellow R48 peer to advance to the semifinals. Vic Perez took control against Erik Torres, pushing the Olympic Club star “out the door” with two-wall pinch drives and executing kills when given the opportunity. Torres was playing from behind throughout and was never able to apply pressure against the LAAC standout. 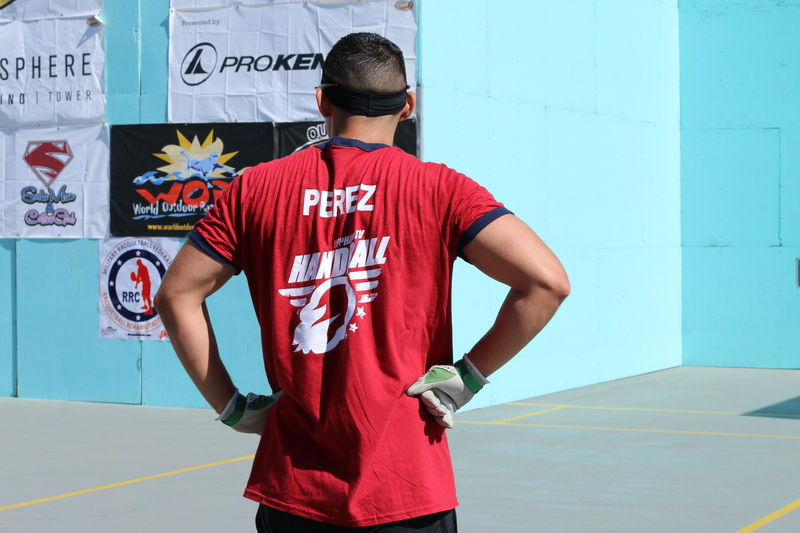 Perez advanced to his first semifinal at the 3WallBall with a two-game sweep. 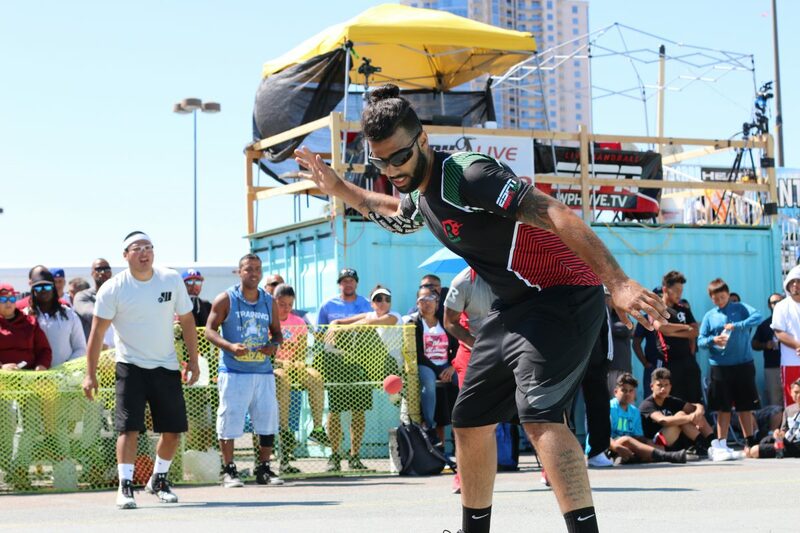 Log onto wphlive.tv, Like the World Players of Handball on Facebook, or follow the WPH on Twitter @dfwph and @wphlive for all of the updates from the 2017 WPH/WOR 3WallBall Outdoor World Championships and all of the handball news from on and off the court! The World Players of Handball is a non-profit foundation aiming to grow the game of handball through innovation and inspiring the next generation of players through junior clinics with Certified WPH Coaches, junior tournaments and the Race 4 Eight and WPH Outdoor tours.